It is not often these days to find a case where a court strikes down a non-solicitation or non-compete clause on the grounds that the durational limit is overbroad. The trend in drafting covenants is to extend the geographic scope and narrow the time limit to, say, 6 months or a year. On its face, the employee and customer non-solicitation clause at issue in Zep, Inc. v. Brody Chemical did not appear overbroad. Zep, which sells industrial chemicals, had several employees defect to Brody Chemical, a direct competitor. The scope of their covenants with Zep did not seem to extend much further than was necessary to protect Zep's interest in customer goodwill. However, the court found that the 18-month and 12-month covenants were overbroad as to duration. The rationale: Zep could not establish that the time period was necessary to put a different sales representative on the job and have the person demonstrate effectiveness to the customer. 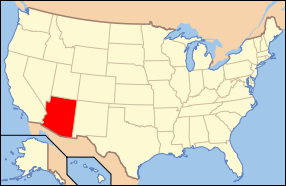 In Arizona, whose law governed the agreements, the employer must satisfy this test in order to show the time period of a non-compete or anti-piracy agreement is reasonable. The key fact that undermined Zep's non-solicitation covenants concerned reassignment of accounts. Zep admitted that when one salesperson leaves, accounts are reassigned to other employees who have demonstrated effectiveness in cultivating relationships. This is hardly a novel concept. But because Zep was responsible and sensible enough to transfer accounts to solidly performing employees, the court held that the non-solicitation clause extended beyond the time period necessary "to put a different sales representative on the job" and become effective. The decision, of course, may have been constrained by Arizona's rigid test to determine reasonableness. That still doesn't make it right. A better formulation of this test as to durational scope would be the one used by courts in Minnesota, which alternatively can consider the length of time necessary to obliterate the identification between the employee and employer in the minds of the customer. The court's holding in Zep seems inconsistent with an employer's duty to mitigate damages for breach of contract. If an employer does not reassign accounts, it may be in a better position to argue that a non-solicitation clause of a certain time period was necessary to train a replacement. But then it leaves itself open to the argument that by failing to reassign an existing, experienced employee to save the account, it failed to mitigate damages. The law should not provide for such Catch-22 situations. The Zep case is a good example of where rigid, bright-line tests often fail in practice.